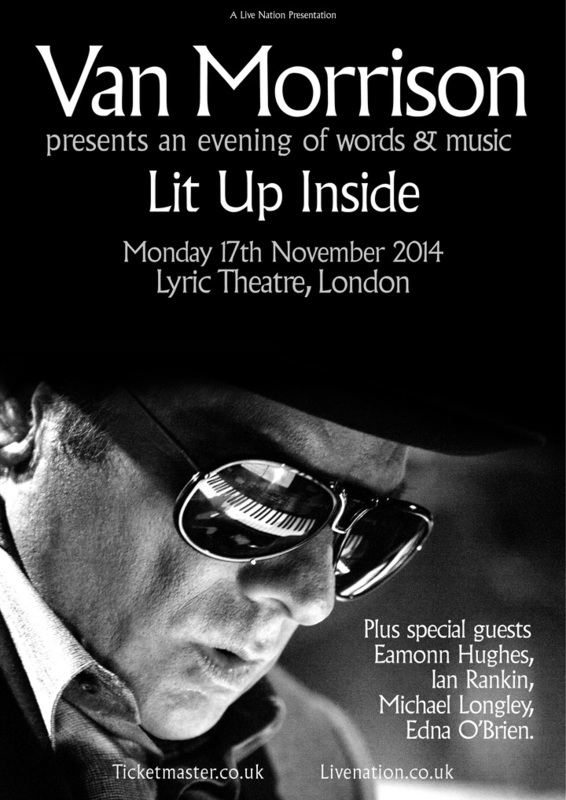 Special event in the Lyric Theatre London to celebrate the launch of his new book ‘Lit Up Inside’. • That he connects with Samuel Beckett, especially in a love of repetition of words and an agreement about having to go on despite a “sense of despair and futility”. • That Tore Down a la Rimbaud took eight years to finish – the longest it’s ever taken him to complete a song. • That part of his early song Mystic Eyes was inspired by the scene in Dickens’s Great Expectations in which Pip meets Magwitch.